Is The Fed’s Glass Half Full? Capital Markets are still trying to workout whether or not they should be taking a glass “half full approach” to recent US data. 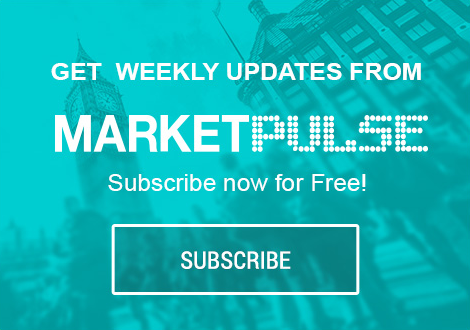 Friday’s US employment report was on the soft side, with even more than expected downside surprises in the accompanying surveys – headline payrolls, hours worked and hourly wages. Already some of the headline and revision job misery has been partially offset by a better than expected Q2 GDP, the ISM manufacturing index and initial jobless claims. If it were not, then the ‘mighty’ dollar would be trading much more cheaply. Due to the time of year that’s in it, the next few weeks should trade with a small premium cost as liquidity becomes an issue while most of Europe goes on holidays. In thinly traded markets, typical of mid-summers like now, “index movements can end up being more vulnerable to single factor trading patterns.” Investors should not be surprised to see some more unexplainable price movements this month. Many market participants still expect the Fed to begin their taper process at the September 17-18 FOMC meet. The committee’s last statement did not signal explicitly that this shift in the “mix of instruments” would occur then, and a later move is very much also possible. However, various appearances by committee members over the past few weeks seem to be preparing the market for such a move in September. Being open and transparent is the key for more of a seamless shift. Besides, any later could be an inconvenient time, as the Fed leadership transition would also argue for an earlier date. It seems that the Aussie policy makers are hoping that the currency’s fall will do most of the heavy lifting in terms of fostering stronger economic growth. This morning, the AUD is trading sharply higher, above the psychological 0.90 for a period, as investors wonder if more cuts are likely after Governor Stevens removed the recent reference to “scope” for further cuts if the economy needed a nudge. The BoE got more strong data this morning. UK factories and industries increased production in June (IP was +1.1%, manufacturing +1.9%, m/m) lifting the sector to its strongest quarter in more than two-years. All concerned will welcome this data, as a competitive manufacturing and industrial sector will now begin to take some of the pressure off the consumer and financial sector, an area that the UK economy has been overly depended on. This data comes ahead of the BoE’s quarterly inflation report tomorrow, which will be scrutinized for details of Mark Carney’s “forward guidance’ on monetary policy. The BoE needs to stop GBP and interest rates rising to levels that pose risks to UK growth. Economic optimism has been reinforced by this morning’s data and by the news that British retailers enjoyed their best July in six-years. Most GBP traders are short, and many believe that the BoE is committed to a dovish inflation report and will not be swayed by a string of encouraging data. This would suggest that the path of least resistance for GBP therefor lies higher and stops above 1.5400 the immediate risk. The reaction to Wednesday’s itself will be traded by a majority who are short pounds and expect a dovish BoE. Recent data would also suggest that buying into dips might be more appropriate. Despite the lack of market scope on the single currency, the market seems to remain a tad ‘bullish’ on the EUR at current levels. The fundamentally unchanged tone of the latest ECB decision, the rebound in Italian and Spanish PMI above 50 and the dovish surprise from the FOMC all suggest that the near-term risk for the 17-member single currency is to the upside. EUR jobbers have been trading the 1.3220-1.3320 levels. With some large option expiries coming off today around 1.3285 and some large real money offers reported above near the 1.3330-40 area, may all act as a small EUR cap for now. BoE and ECB’s Forward Guidance; What Guidance?